Ballard Jazz Fest Three words: Jazz Pancake Breakfast. Plus, dozens of performances by both local and international jazz artist, spread over 11 venues, and... wait, you heard us say pancakes, right? Ballard Jazz Fest Nordic Heritage Museum and Leif Erikson Hall, Seattle Three words: Jazz Pancake Breakfast. Plus, dozens of performances by both local and international jazz artist, spread over 11 venues, and... wait, you heard us say pancakes, right? Debacle Fest Seattle's Debacle Records brings together some of the Northwest's most adventurous "experimental" music acts for two days of "mind-bending noises" on two stages. Debacle Fest Columbia City Theater, Seattle Seattle's Debacle Records brings together some of the Northwest's most adventurous "experimental" music acts for two days of "mind-bending noises" on two stages. Bluegrass From the Forest Festival Four main multi-band shows, a showcase stage that features an open mic, plus all-night jamming in the camp ground with "midnight hot dogs" included. Get tix quick. Bluegrass From the Forest Festival Shelton High School, Shelton Four main multi-band shows, a showcase stage that features an open mic, plus all-night jamming in the camp ground with "midnight hot dogs" included. Get tix quick. Sasquatch Music Festival A... sorryaboutthis... monster four day fest featuring some of the world's hottest acts, including Major Lazer, Florence & the Machine, A$AP Rocky, Chet Faker, and 109 more. 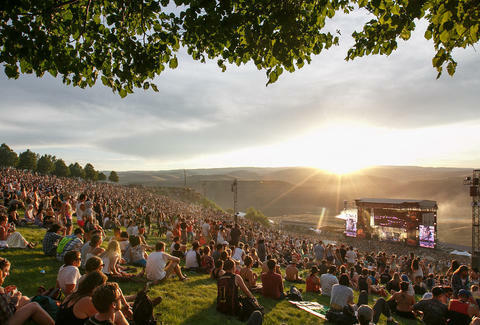 Sasquatch Music Festival The Gorge Amphitheatre, George A... sorryaboutthis... monster four day fest featuring some of the world's hottest acts, including Major Lazer, Florence & the Machine, A$AP Rocky, Chet Faker, and 109 more. Chateau Ste. 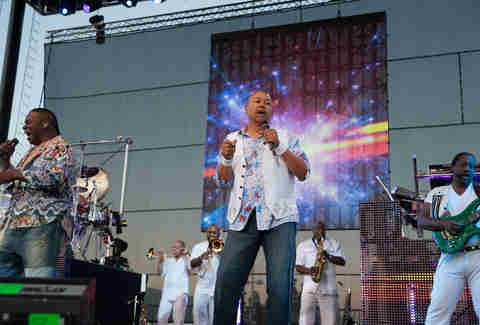 Michelle Summer Concert Series So, tickets to Billy Joel's shows are sold out, but you can still sip wine while listening to the likes of Earth, Wind & Fire, Don Henley, and more of what are probably your parents' favorite acts. Chateau Ste. Michelle Summer Concert Series Chateau Ste. Michelle, Woodinville So, tickets to Billy Joel's shows are sold out, but you can still sip wine while listening to the likes of Earth, Wind & Fire, Don Henley, and more of what are probably your parents' favorite acts. Bellevue Jazz & Blues Festival For Grammy nominated singers, up-and-coming trumpeters, and more, you gotta get moving on up to the Eastside. Bellevue Jazz & Blues Festival Various Locations, Bellevue For Grammy nominated singers, up-and-coming trumpeters, and more, you gotta get moving on up to the Eastside. Inlander Music Festival Two days, 11 venues, 90 bands, and FINALLY.... a reason to go to Spokane. Inlander Music Festival Various Locations, Spokane Two days, 11 venues, 90 bands, and FINALLY.... a reason to go to Spokane. Marymoor Park Concert Series Three days of Lumineers shows, a performance by Weezer, and a '90s hip-hop celebrations w/ Salt-N-Pepa, Coolio, Color Me Badd, etc. highlight this summer long string of weekend shows. Marymoor Park Concert Series Marymoor Park, Redmond Three days of Lumineers shows, a performance by Weezer, and a '90s hip-hop celebrations w/ Salt-N-Pepa, Coolio, Color Me Badd, etc. highlight this summer long string of weekend shows. Georgetown Carnival Come for the music, stay for the Power Tool Races. Georgetown Carnival Airport Way S & S Vale St., Seattle Come for the music, stay for the Power Tool Races. Wenatchee River Bluegrass Festival Big time pickers, instrument workshops for kids (and adults), a slew of food and other vendors on site, and now... exciting news... free WiFi and paved roads at the campground/event site. Wenatchee River Bluegrass Festival Chelan County Expo Center, Cashmere Big time pickers, instrument workshops for kids (and adults), a slew of food and other vendors on site, and now... exciting news... free WiFi and paved roads at the campground/event site. HONK! Fest West Basically brass and marching bands playing for free in public spaces all over the city. HONK! Fest West Various Locations, Seattle Basically brass and marching bands playing for free in public spaces all over the city. Paradiso Festival The only Summer EDM festival in the state. Do not miss it. Paradiso Festival The Gorge Amphitheatre, George The only Summer EDM festival in the state. Do not miss it. ZooTunes Concert Series "Weird Al" Yankovic? The B-52s? UB40? Wild Animals? You had me at “Weird." ZooTunes Concert Series Woodland Park Zoo, Seattle "Weird Al" Yankovic? The B-52s? UB40? Wild Animals? You had me at “Weird." Chinook Fest Summit A small-ish and seriously laid-back rock/indie music fest on the snowless slopes of The Summit. Chinook Fest Summit Various locations, Downtown Seattle A small-ish and seriously laid-back rock/indie music fest on the snowless slopes of The Summit. Out to Lunch Concert Series Free outdoor shows (from reggae and funk, to... harmonica?) in random public locations on Tuesday, Thursday, and Friday afternoons. Out to Lunch Concert Series Tolt-MacDonald Park, Carnation Free outdoor shows (from reggae and funk, to... harmonica?) in random public locations on Tuesday, Thursday, and Friday afternoons. Timber! Outdoor Music Festival Probably the most Northwest-y of all these fests. Not only does it have 20+ indie acts on the schedule, there's kayaking, paddleboarding, mountain biking, and more. Timber! Outdoor Music Festival Grant County Courthouse Grounds, Ephrata Probably the most Northwest-y of all these fests. Not only does it have 20+ indie acts on the schedule, there's kayaking, paddleboarding, mountain biking, and more. Basin Summer Sounds You're probably gonna be in Ephrata in mid-July anyway so why not check out this family friendly, multi-genre music festival outside the local courthouse. Basin Summer Sounds The Blues Ranch, Winthrop You're probably gonna be in Ephrata in mid-July anyway so why not check out this family friendly, multi-genre music festival outside the local courthouse. Winthrop Rhythm & Blues Festival Robert Randolph & The Family Band, Wee Willie Walker, and more highlight this year's version of the longest running music festival in the state. Winthrop Rhythm & Blues Festival Between Broadway and 12th Ave & E Pine St and E Union St, Capitol Hill Robert Randolph & The Family Band, Wee Willie Walker, and more highlight this year's version of the longest running music festival in the state. Capitol Hill Block Party 2016 Seattle's biggest party takes over Seattle's coolest 'hood for three days of shows featuring local darling Odesza, plus Chvrches, Crystal Castles, and more. Capitol Hill Block Party 2016 The Gorge Amphitheatre, George Seattle's biggest party takes over Seattle's coolest 'hood for three days of shows featuring local darling Odesza, plus Chvrches, Crystal Castles, and more. Watershed Festival 2016 It's basically the biggest country music show of the year. So obviously, it's on the east side of the state. Doe Bay Fest Like you need an excuse to take a ferry to the San Juans in the summertime. But just in-case, they've got four days of music, food, and outdoor activities on 33 waterfront acres. Doe Bay Fest Doe Bay Resort, Orcas Island Like you need an excuse to take a ferry to the San Juans in the summertime. But just in-case, they've got four days of music, food, and outdoor activities on 33 waterfront acres. Watershed Festival 2016 See, we told you it was the biggest country show in the state... so big they needed two weekends. Watershed Festival 2016 The Gorge Amphitheatre, George See, we told you it was the biggest country show in the state... so big they needed two weekends. Concerts at the Mural Every Friday, KEXP is bringing some of the radio station's hottest acts to Seattle Center on four of Seattle's hottest weekends. For FREE. Concerts at the Mural Seattle Center, Seattle Every Friday, KEXP is bringing some of the radio station's hottest acts to Seattle Center on four of Seattle's hottest weekends. For FREE. Summer Meltdown 2016 This legendary bluegrass festival features four stages, a gaggle of late-night performances, beer gardens, access to a river, and much more. Summer Meltdown 2016 Whitehorse Mountain Amphitheater, Darrington This legendary bluegrass festival features four stages, a gaggle of late-night performances, beer gardens, access to a river, and much more. Vans Warped Tour Yes, they're still doing this. And yes, Good Charlotte and Sum 41 are still involved. Go get nostalgic. Vans Warped Tour White River Amphitheater, Auburn Yes, they're still doing this. And yes, Good Charlotte and Sum 41 are still involved. Go get nostalgic. Guns N' Roses Seattle's own Duff McKagan is (finally!) bringing his legendary band back to Seattle. Oh, and watch out for the flash... err, Slash Mob before the show. Guns N' Roses Centurylink Field, Seattle Seattle's own Duff McKagan is (finally!) 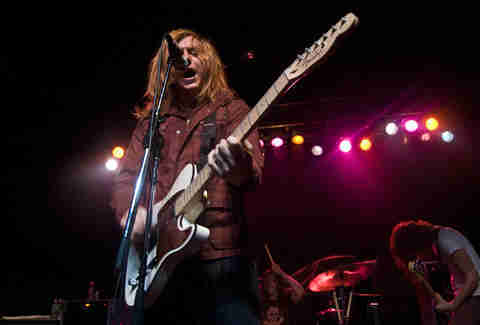 bringing his legendary band back to Seattle. Oh, and watch out for the flash... err, Slash Mob before the show. Hempfest After snacks, the thing people at the country's largest marijuana festival need most is music. Luckily, they've got it. Hempfest Myrtle Edwards Park, Seattle After snacks, the thing people at the country's largest marijuana festival need most is music. Luckily, they've got it. Pig Out in the Park Six days of food (45 booths, over 200 menu items), and music (100 free concerts on three stages), all on the river in Downtown Spokane. Pig Out in the Park Riverfront Park, Spokane Six days of food (45 booths, over 200 menu items), and music (100 free concerts on three stages), all on the river in Downtown Spokane. Bumbershoot 2016 The Northwest's biggest festival is once again filling your Labor Day weekend with some of the world's biggest bands/performers, live comedy, art, and more. Bumbershoot 2016 Seattle Center, Seattle The Northwest's biggest festival is once again filling your Labor Day weekend with some of the world's biggest bands/performers, live comedy, art, and more. Oak Harbor Music Festival An eclectic collection of artists perform for free on the streets of this small Whidbey Island town. Oak Harbor Music Festival SE Pioneer Way, Oak Harbor An eclectic collection of artists perform for free on the streets of this small Whidbey Island town. Washington State Fair Concert Series Tim McGraw headlines this series of shows on The Grandstand at the Washington State Fair, which BTW is just one of the reasons Seattle's summers dominate all other summers. 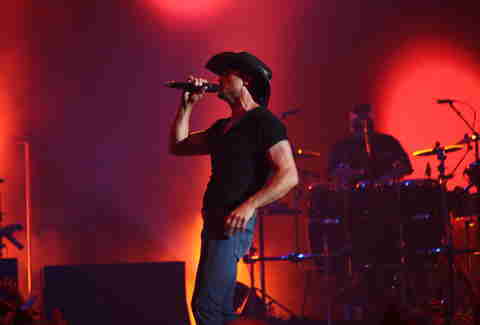 Washington State Fair Concert Series Washington State Fair Grounds, Puyallup Tim McGraw headlines this series of shows on The Grandstand at the Washington State Fair, which BTW is just one of the reasons Seattle's summers dominate all other summers. Chinook Fest Central Half a chance to hear some solid roots-rock, blues, and Americana music, and half a chance to sit on the banks of the Naches River and drink local craft beer, wine, and cider. Chinook Fest Central Jim Sprick Community Park, Naches Half a chance to hear some solid roots-rock, blues, and Americana music, and half a chance to sit on the banks of the Naches River and drink local craft beer, wine, and cider.